Gary Wilson - the Northern Knights’ new captain - is one of eight senior internationals named in a 13-strong squad for this month’s visit to Spain. The Knights will face the North West Warriors and defending champions Leinster Lightning over successive days from April 24 across the 50-over Inter-Provincial Cup. 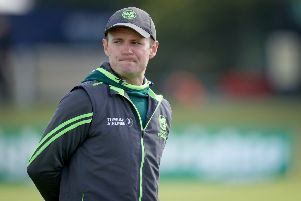 Harry Tector, the former Ireland under 19s’ captain, has been named as vice-captain - with the international age group’s current skipper, Neil Rock, set to don the gloves. Wilson’s club colleagues from CSNI - Marc Ellison and Graeme McCarter - have also been included alongside CIYMS players Mark Adair, James Cameron-Dow and Jacob Mulder. 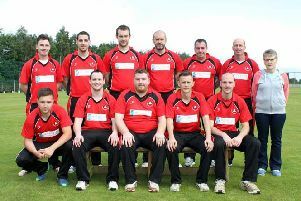 Instonians’ Shane Getkate and Robert McKinley will be on show plus James Shannon, the former Shaw’s Bridge batsman. Waringstown’s James McCollum and Greg Thompson have been called up from the villagers, with Adam Dennison and Gary Kidd from the same club each unavailable. Also unavailable is North Down’s Alistair Shields, plus David Delany due to examinations. Simon Johnston will serve as head coach, with Andrew Rose the team manager. The Knights won the inaugural 50-over competition back in 2013 but with the Dublin-based Lightning panel lifting the title on each of the next five occasions. NORTHERN KNIGHTS: Gary Wilson (captain, CSNI), Harry Tector (vice-captain, YMCA), Mark Adair (CIYMS), James Cameron-Dow (CIYMS), Marc Ellison (CSNI), Shane Getkate (Instonians), James McCollum (Waringstown), Graham McCarter (CSNI), Rob McKinley (Instonians), Jacob Mulder (CIYMS), Neil Rock (Rush), James Shannon (Phoenix), Greg Thompson (Waringstown).